With Bowls over for another year, we look back at how the season went for Midlothian’s bowlers. It was a great summer for Penicuik Bowling Club, winning the Midlothian and Elibank trophies. While Gorebridge Bowling Club walked away with the Colville Cup. Other notable achievements include the Senior Midlothian team reaching the final of the Matt Purdie Senior Inter-county Trophy, unfortunately losing to the Borders Bowling Association at Armadale. The under-25s five-county team encountered mixed fortunes winning the East Section of the Scottish Bowling League undefeated, but were beaten in the semi-final against West Lothian at Kirkliston. Midlothian under-25s were runners-up to Edinburgh and Leith in the Inter-County Calder Cup (top nine). The players who represented Midlothian were Steven Reid, Jamie Bathgate, Scott Ritchie, Jamie Aitken, Neil Gibson, Daniel McDougall, Andy Kelly, Mark Yuill and Jason Urquart. 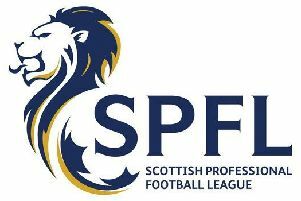 In the local leagues Gilmerton won the Esk League Division title while Penicuik took the Seniors’ equivalent.